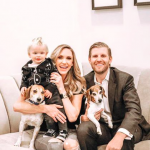 Congratulations to President Donald Trump’s son, Eric Trump and his wife, Lara Trump — the couple are expecting their second child. 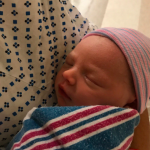 Posted on September 12, 2017 September 12, 2017 by Miranda M. by Miranda M.
Congratulations to Eric and Lara Trump, who welcomed a son this morning, according to a tweet from President Trump’s son. 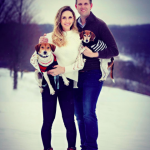 Posted on March 20, 2017 by Miranda M. by Miranda M.
Congratulations to Eric and Lara Trump, who are expecting their first child, a boy, in September!